Corporate Temps is an award-winning provider of tempor ary and permanent strategic staffing solutions to Local, State, Federal and Private Sector entities. Our successful provision of Temporary Administrative and Professional Services is furnished within a specialized suite of retained solutions for the goals of our clients. Corporate Temps’ provision of services embodies support within the administrative, accounting/finance, customer service, data entry, distribution, engineering, HR, light industrial, logistics, manufacturing, professional and scientific support areas. The goal of our firm is to enrich the clients we serve. Corporate Teams, Inc. was established in 1991 as a global, full-service talent acquisition firm. 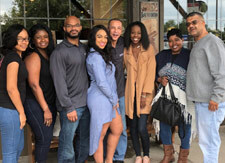 In September of 2010, Corporate Temps graduated from the SBA’s 8(a) program equipped with an in-house team having 80 years of combined industry experience. Click here to log in or create an ADP account.